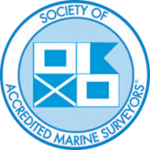 Ocean Technical Services (OTS) began in 1984 and is a full service, nationwide marine surveying and consulting company. While working at Boston Fuel & Transportation Company as a licensed wheelhouse master aboard the coastwise tugboat, barge and tanker fleet, Joe Lombardi began getting requests to lend his expertise to surveying projects. As his gained experience and word of his knowledge and professionalism spread, he dedicated his career to marine surveying. OTS initially focused on New England’s yacht and commercial hull market, but relationship, ships with large marine underwriters in Boston, Philadelphia, New York and London expanded the company’s reach. Recently, OTS has experienced significant growth in the Charleston, SC and Houston markets. We can assist with your marine project, anywhere in the United States or overseas. Chances are we can help with international projects as well.